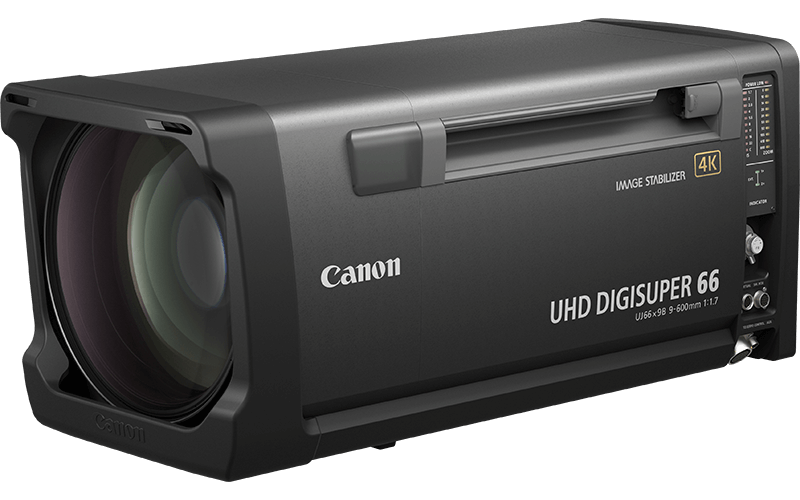 A top-class quality broadcast 2/3” 4K field lens with 66x zoom and 9-600mm focal length. This versatile 4K field lens can be used in a wide variety of broadcast situations and boasts an image stabilised 66x zoom offering a 9-600mm focal length which can be doubled to 1200mm with its built in 2x extender. Boasting a 66x zoom, the lens is ideal for a wide variety of broadcast situations thanks to advanced optical engineering and a generous use of fluorite and UD glass. 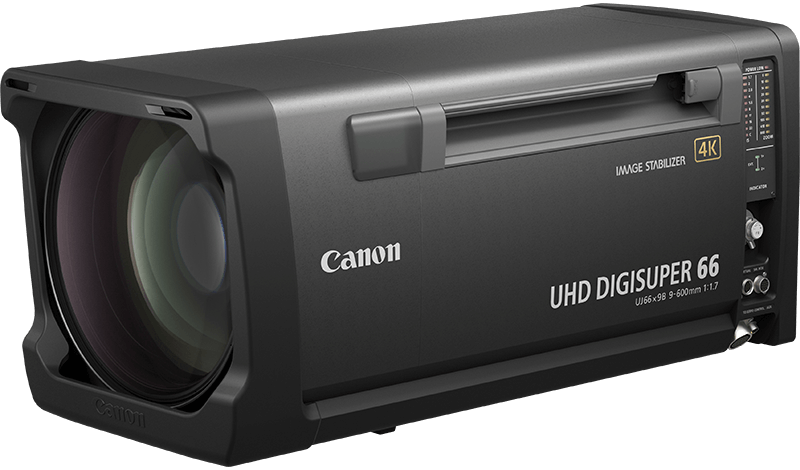 This lens features the best of Canon’s optical and servo technologies to stabilise your footage and maintain 4K performance, even with image stabilisation engaged. 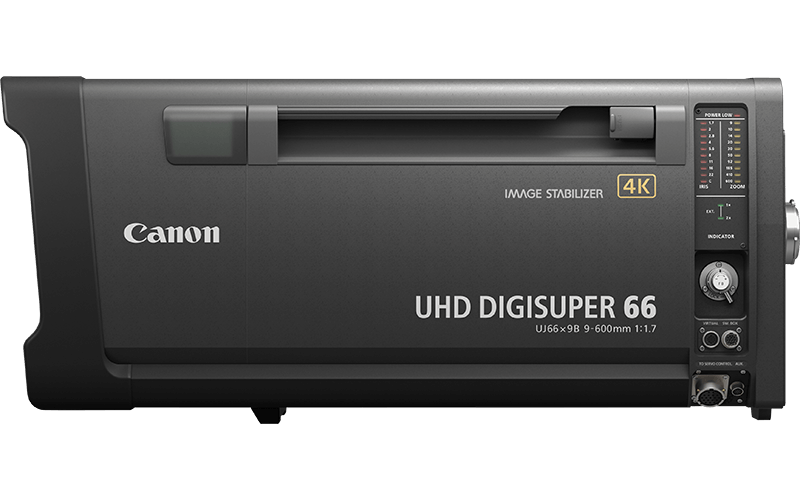 4K resolution and high contrast are sustained uniformly from the centre to the edge of the image thanks to Canon’s proprietary optical design technologies. Great results are easy to achieve, thanks to the lens’ intelligent design. Canon’s accurate focus demands enable the operator to keep subjects in focus at all times. 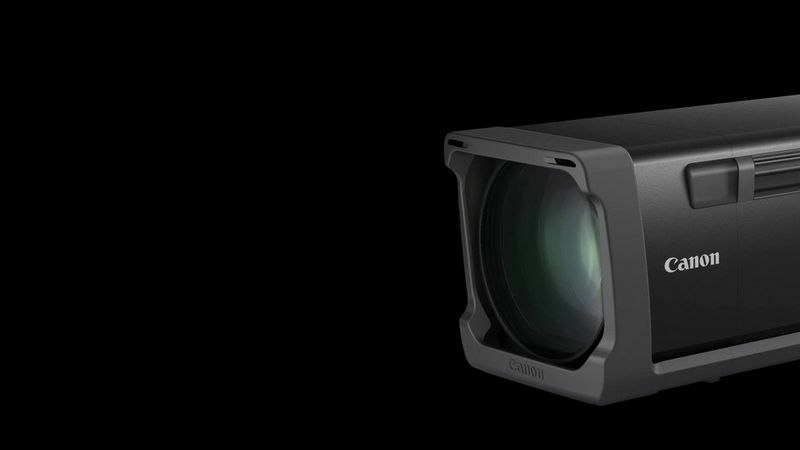 The lens supports a wide range of virtual interfaces for acquiring positional information via either serial communication or output from the 16-bit high-resolution encoder.